After several years in medical school and some more during residency training, here you are yet again, facing another big step in your medical career: your fellowship training. Needless to say that your thirst for continuous education and knowledge led you to this day when you are now deciding which subspecialty would you be honing your skills for, for the next years. Since application season is just around the corner and you have just begun gathering all your requirements for medical school. 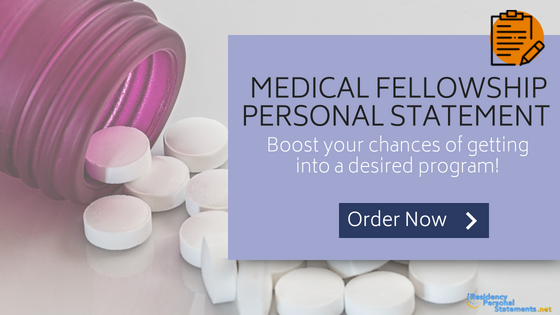 You wanted to be a doctor and are ecstatic to embark on your medical journey. Residency training may have taught you one important thing, that is, the experience is the best teacher. Let these real-life cases guide you to choosing the fellowship of your choice. And once you have decided, aside from your usual credentials and your stunning CV, it is of utmost importance that you give value and ample time to writing your medical application personal statement. Not only is this an opportunity to impress the admitting panel, it is also your chance to let your application shine among the others. Also, you can check some fellowship personal statement tips on cardiothoracic surgery fellowship programs that would give you some additional information about personal statement writing for residency. How are you as a resident? How did you handle the training? Did you feel that you have been supported by your family, friends and your institution well enough? These are only some of the things that your reader may want to know. Since you are bound to face another set of training years, the panel would be interested as to how you would be able to handle the training program. Relating how you handled your shortcomings during residency would be a big plus in your personal statement for fellowship, like urology personal statement. It is also suggested to point out how your residency training has helped to mold your career as a physician and how it has inspired you to continue to fellowship. 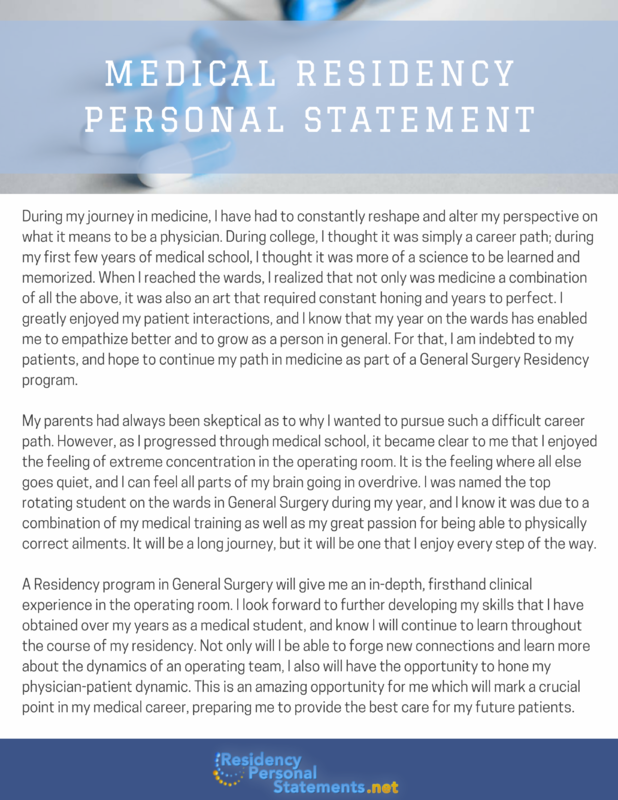 Your medical fellowship personal statement may be similar to the one you have written when you applied for residency. Both give you a chance to introduce yourself, highlight your strengths, and brush through the salient points of the reason behind you choosing the program you have applied for. However, when writing a personal statement for your fellowship, keep in mind that this calls for specifics. For instance, if you are applying for a fellowship in oncology, you would want to mention an interesting case of a cancer patient who was then under your care. You can, for example, explain how this patient inspired you to pursue a career in oncology. Unlike when you have applied for medical residency, generalizations about how you have developed a certain interest in internal medicine will not fit in your statement. Each year, medical school can only get tougher. And the panel would want to make sure as much as they can that they take in students who have the heart and the will to push through when the going gets tough. Nobody wants to risk a slot for a potential quitter. In your medical application personal statement, that equal to medical residency resume, try to relate personal experiences that show your perseverance and focus on doing the things that your chosen career would need you to. Show how committed you are to your craft and you are sure to get the panel’s approval. 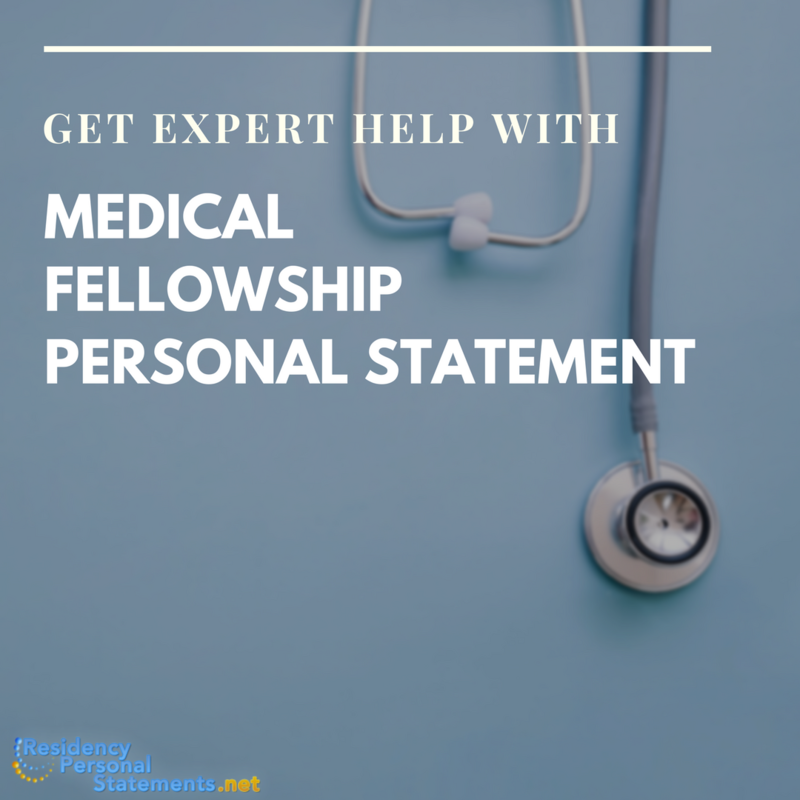 Your medical fellowship personal statement should revolve around your desire to increase your level of expertise and state how you view fellowship training as a necessary milestone in your medical career. Remember that enduring the application process yet again can really be a handful. Although some medical schools go for academic achievements, still others prefer to look into a candidate’s skills which can be related to the medical practice. Let your CV and your credentials take care of the awards and recognition you may have gotten prior to applying for doctor of medicine. Your medical application personal statement is called such for a reason, it is personal. It talks about you, your personality and your interests. A grave mistake in writing your statement is basically converting your CV into an essay. Do not fall into that trap. It is really very hard to start. Let alone start writing a med personal statement. Experts say it is best to start writing the second paragraph and go on writing the rest from there. Then take the time to figure out what to write for your opening paragraph. It should catch the reader’s attention enough to make them interested in the rest of what you have to say. Don’t use clichés, like overused quotes, common sayings or the ever proverbial “My father used to say…” Your application for medical school would stop dead in its tracks once you have fallen to this familiar theme. Strive to be unique and engaging. Before starting your program fellowship personal statement, you should research first if there are any existing guidelines set by the program. It is crucial to comply with proper instructions and prompts otherwise your application will be immediately disqualified. Choose the best starting point for your program personal statement. You should consider your audience in order to effectively select the best approach for your essay. Remember that this should attract your readers so make sure that your introduction is interesting. The main objective of your program fellowship personal statement is to put a face and personality in your application instead of merely focusing on test scores. Many students use program personal statement to create a strong case for their application especially when you have average scores. The length and content are two main factors in a winning program fellowship personal statement. You should offer brief, specific and relevant responses; do not include lengthy replies that will only confuse and bore your readers. Use the language you normally use. Avoid superfluous language and stick to your usual speaking tone. While it is strongly discouraged to use slang or street language, excessive use of the thesaurus to add unnecessary depth to your writing is certainly not the way to do it as well. Never procrastinate; allocating enough time is crucial in making sure that your program fellowship personal statement is top notch. Plan ahead and take time to organize the information. Do not submit your program personal statement without properly proofreading it. Presentation and professionalism are very important for any written requirements. Remember that you will be applying for a cardiology fellowship program and ensuring its quality is a necessity. There is no specific formula for writing a personal statement for residency; everything will be based on what you think is essential. Choose carefully every detail that you include in your essay from a technical aspect to information. Lastly, avail professional writing help if you think it is impossible to accomplish a winning essay on time. These services are highly experienced in providing you the best services and solutions available to maximize favorable results. if you cannot perfect your personal statement on your own ask for assistance. You don’t have to seek someone on the same boat to give comments about your writing. A medical application personal statement is an essay of who you are, why you chose medical school and why the panel should accept you. It is always helpful to check with someone you know and trust if you do sound convincing and if your statement sounds sincere. You are now entering fellowship and you are no stranger to this nerve-wracking experience. Maintain your focus and keep an open mind about your application and your medical fellowship personal statement. Congratulations in advance!